BIRMINGHAM — Police are searching for two suspects they said tried to rob a Family Dollar Store with swords. The incident happened on Wednesday, March 20, at the store at 1355 Bessemer Road in Birmingham. Police said the suspects demanded money from the clerk until the clerk pulled out a gun. The suspects fled without any money. 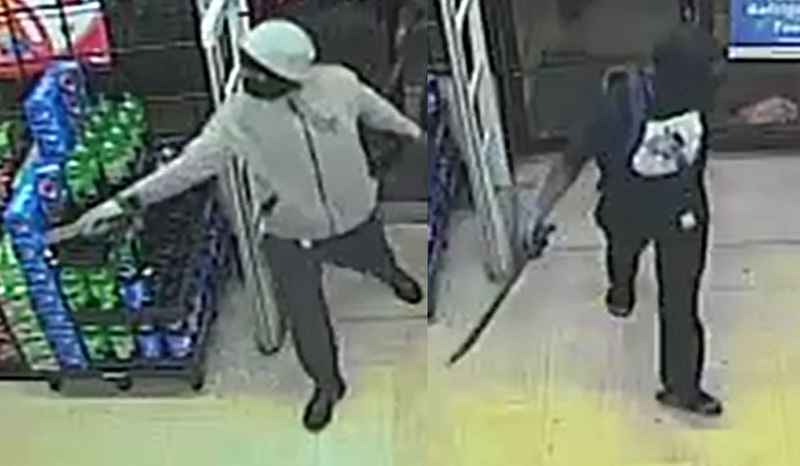 If there is anyone with information on the identity of the suspects, police asked that they contact BPD Robbery Detectives at 205-254-1753 or remain anonymous by contacting Crime Stoppers at 205-254-7777. If the tip to Crime Stoppers leads to an arrest, Crime Stoppers will provide a cash reward. Here is surveillance video from the store.